I have owned the Channel Islands A6 for a long time. 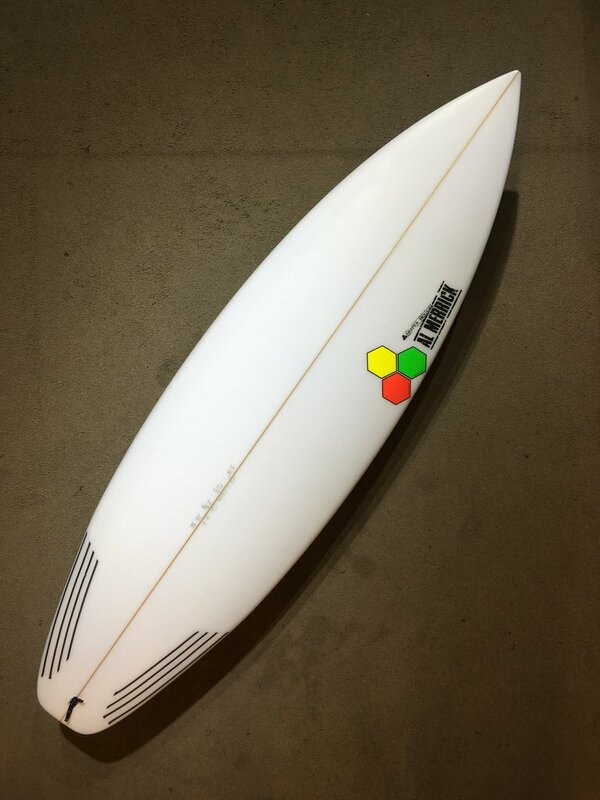 It was one of the boards designed by Al Merrick as a performance shortboard in 2006. I got this board at the Trestles Surf Outlet in San Clemente, CA. In the first year of owning it, I used it locally at Trestles and T-street almost daily. I also took it on trips to the North Shore of Oahu and Jaco, Costa Rica. This past year I have used it on the North Shore every time the waves were the right size. The board performs very well in both California and Hawaii surf. I haven’t had any problems with the board as far as durability or performance. It’s a little harder for me to get the fins free on turns than on my shorter quad fish, but that is probably just my ability level, and not anything to do with the board design. What surprised me the most is how well this small board can handle itself in bigger surf. Both on the North Shore and at Playa Hermosa in Costa Rica, I have pushed this board to its limits in bigger waves. In Costa Rica the waves generally were a good size for this board, but I had a few instances where it would have been better to have a step-up board, and I didn’t have one with me. On the North Shore I have often showed up to surf with it and found the waves to be much bigger than I had anticipated. Being too lazy to make the 15-minute drive home to get my step-up board, I would take it out anyways. In these situations, I could still get into waves and have a great time surfing. Getting into the bigger waves is probably the hardest part when it gets too big, and obviously the reason why you would want a bigger board, but as far as performing in bigger waves, the 5’10” Channel Islands A6 worked great. As far as durability goes, none of my other boards have ever lasted as long as this board.